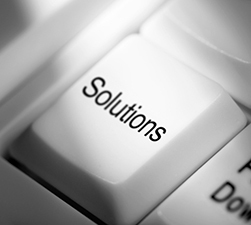 Our system solutions include a broad range of options. We focus on customizing these system solutions to ensure that they optimally meet your requirements. Our solutions span the entire service lifecycle. Starting with analysis and consultancy, and proceeding via professional project leading right through to operation and support. Our solutions are based on technically sound experience built up over a period of many years. We set out to achieve successful, long-term cooperation with satisfied customers.